We were very lucky to receive a donation of books from Usborne Books before we left, and there was a great selection of books for the children to use. 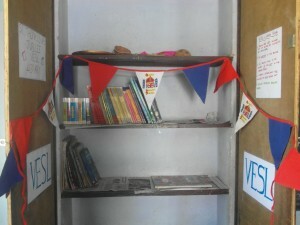 With these books and money we had raised, we decided, with permission of the school, that it would be good to start a school English library so students are able to practice their English when volunteers aren’t there. The school were very enthusiastic about the idea, and I hope that they will be able to build on the resources later. We also hope that future volunteers will be able to slowly add books. Lucy and I went to the city to choose English books that were at the right level for the UPS students, ranging from ‘my first word’ books which will help lower level students to develop their vocabulary to higher level English reading books for the English medium classes. We spent at least two hours deciding! We felt it was important that all classes would be able to use the library and there are dictionaries for helping students understand words they don’t know. We also appointed library leaders in each of the classes and made them laminated badges to wear – everyone loves a laminated badge! Lucy and I spent several hours at the weekend numbering the books and creating a reference list, as well as making some dodgy hand drawn posters and the library leader badges! On the Monday we had an opening ceremony which all the UPS staff attended as well as classroom and library leaders. The head teacher did a speech, followed by Johnson (the in country manager) followed by myself and Lucy. The English teacher then got up and did a speech about how reading is important for all the students to help broaden their minds and that they should use the resource often. 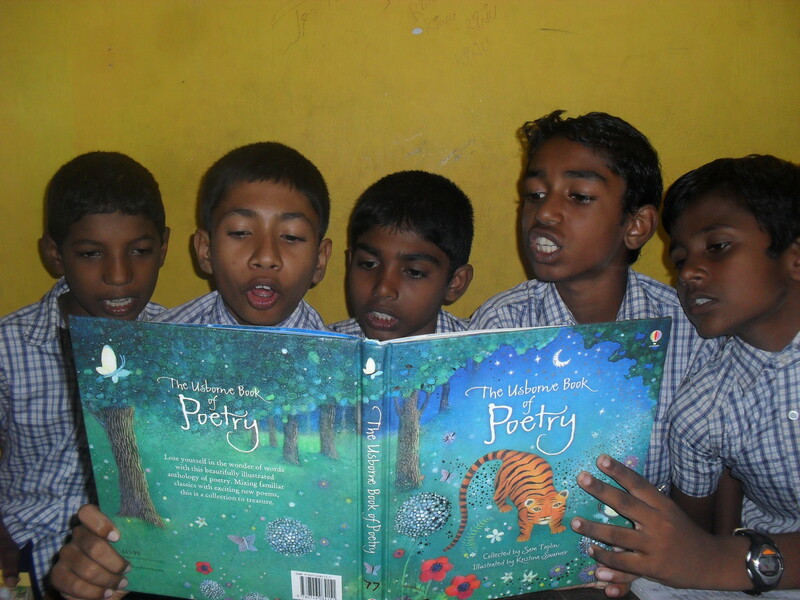 It was great to know that we had the full support of the staff and that they would encourage the students to read. We taught the library leaders how to sign the books in and out of the library and how to put the books back in the right places. After the ceremony one of the classes had a free period so straight away started using the library which was great to see. They genuinely seemed to enjoy reading the books. In our first lessons after the library we taught a lesson to the students on library rules as well as how and when to use the library. All the classes made posters which we then displayed on the notice boards in their classrooms. It has been great seeing the library being used so frequently, and we are keeping our fingers crossed that this will continue!! I would also like to take this opportunity to say a huge thank you to Usborne Publishing and all of the people that donated money towards my trip with VESL this year, without the money you helped me raise we would not have been able to start the library – so thank you! 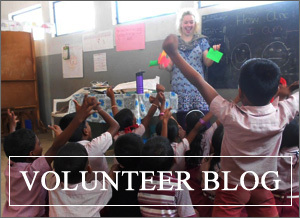 ← PREVIOUS POST : Student Leader Diary – India 2012 – Free time…what free time? !